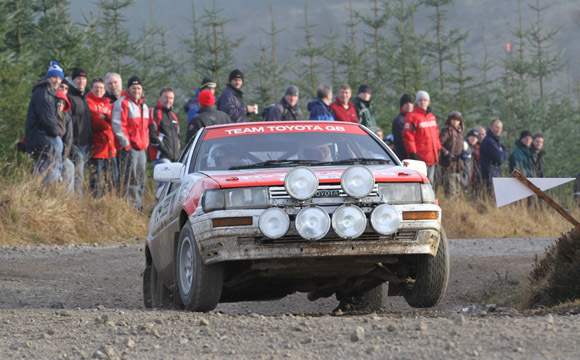 Toyota classic rally team Midgley Motorsport is celebrating a remarkable debut class victory on the Roger Albert Clark Rally, the UK’s toughest historic motorsport event. 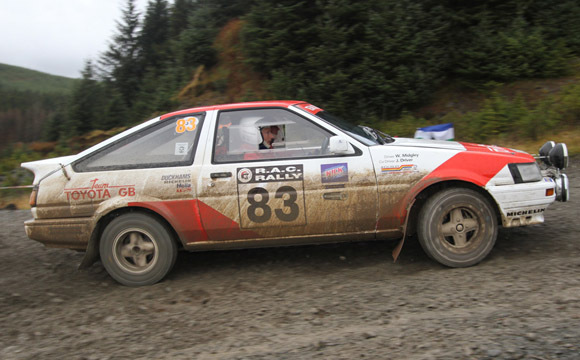 The team’s 25-year-old Corolla AE86, crewed by Will Midgley and Jonathan Driver, beat its closest rival to the Kielder Forest finish line by 14 minutes. 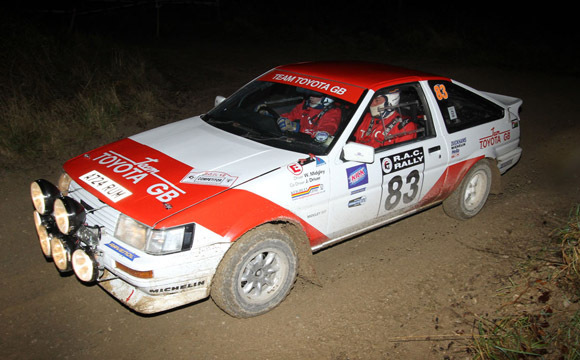 Midgley and Driver battled throughout the three-day event against another Corolla, crewed by Andy Madge and Pat Cooper. The duel for class honours came down to the final sting-in-the-tail stage in the 160-mile rally, the 17-mile Kershope test. 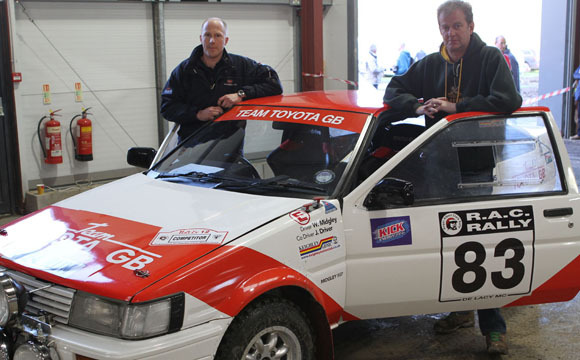 The Midgley Corolla, which is liveried identically to those which Will’s father, John Midgley, and Per Eklund drove to a string of UK rallying successes for Team Toyota GB in the mid-’80s, was one of four finishers in its class. On Saturday, at the Croft circuit spectator stage, the Midgley Toyota lapsed on to three cylinders and that cost the crew a couple of minutes on their second run around the track. “After that, everything was fairly trouble-free; we kept it on the road and the Toyota ran really well. Jonathan and I learned a lot: it was the first time for both of us navigating with maps, our first time rallying in the dark, and the first time in fog. That was a lot of firsts for one event. The team worked really hard to keep us going, especially on the Friday night, and we thoroughly enjoyed the event.